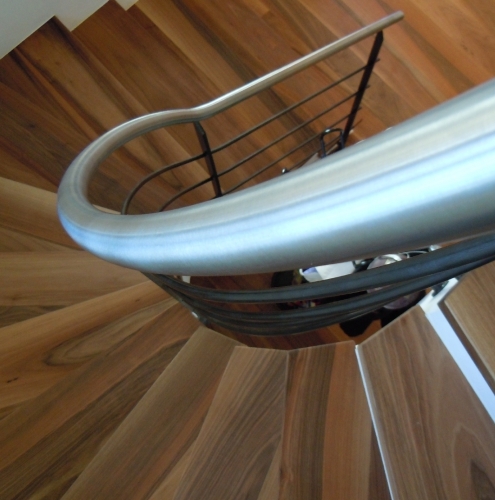 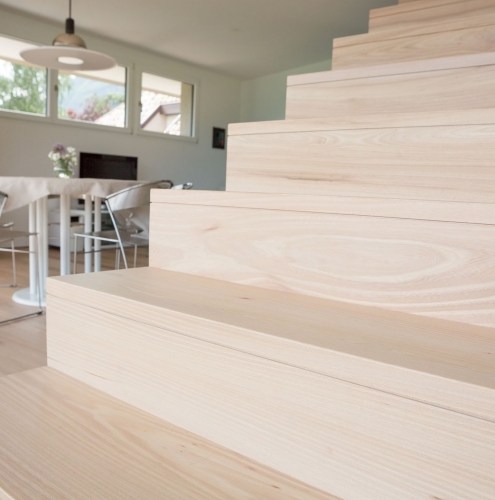 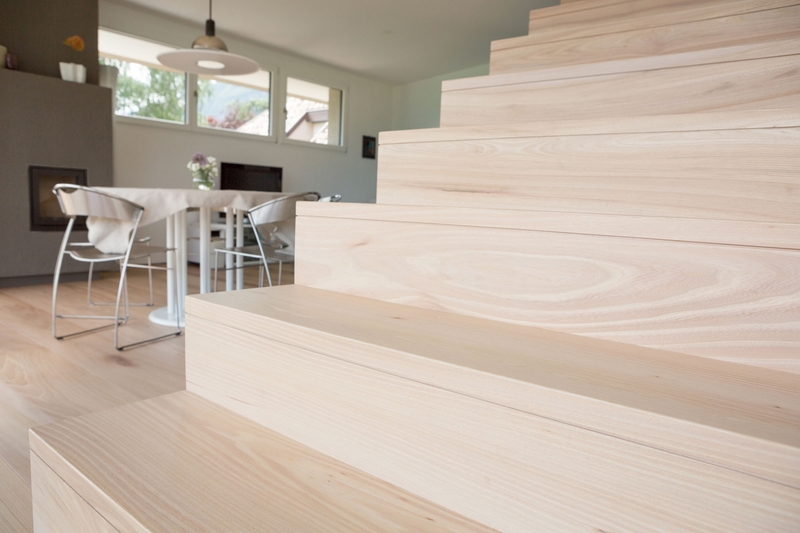 Matching the Südtiroler Landhausdielen®, we also produce steps in the different versions in a special manner. 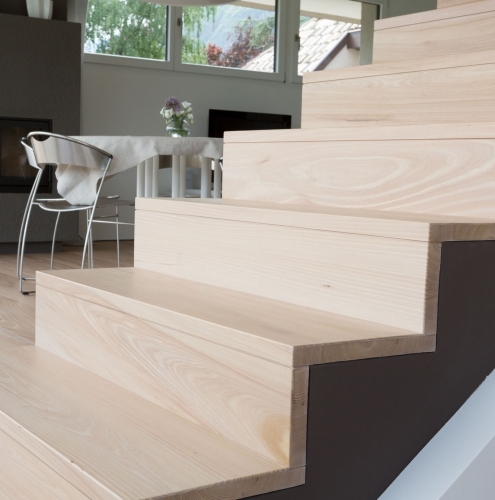 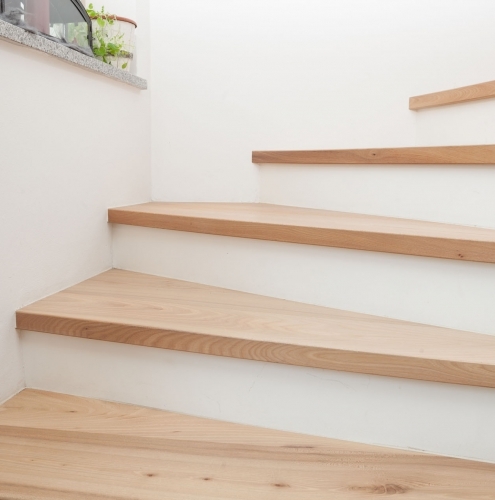 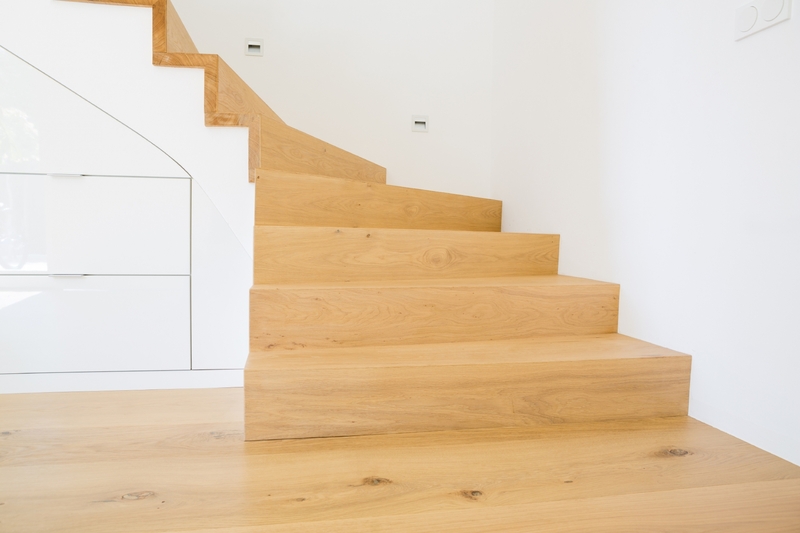 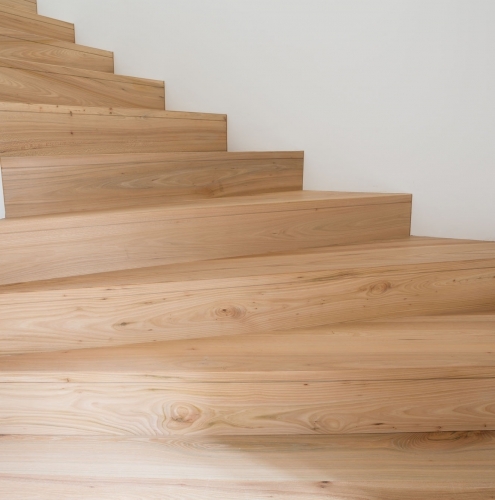 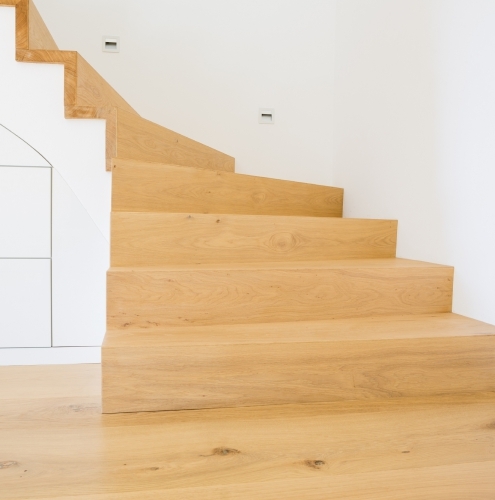 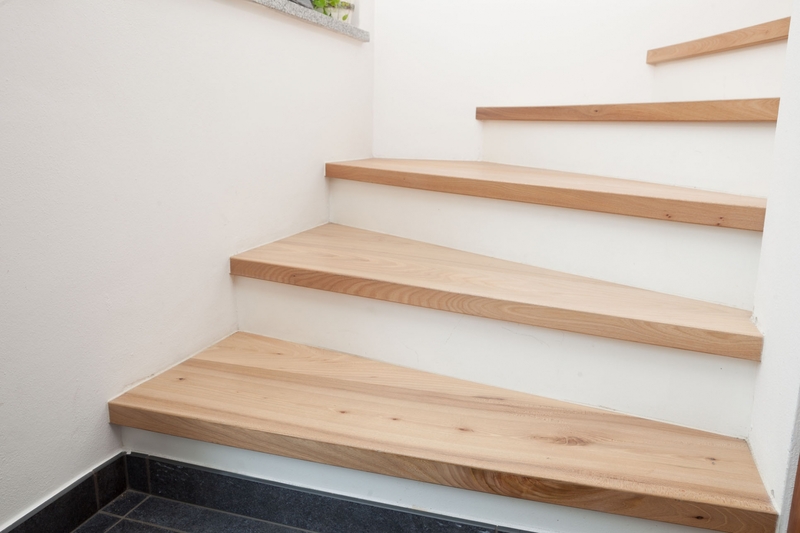 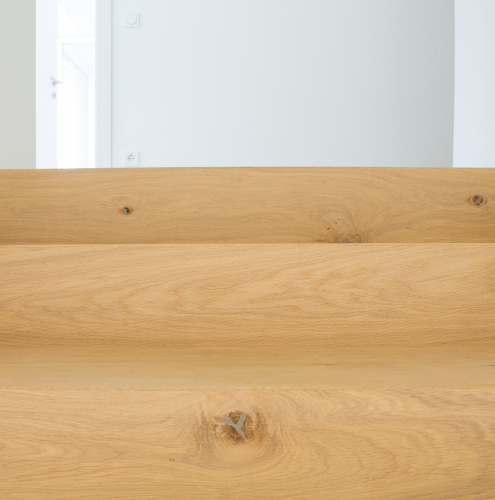 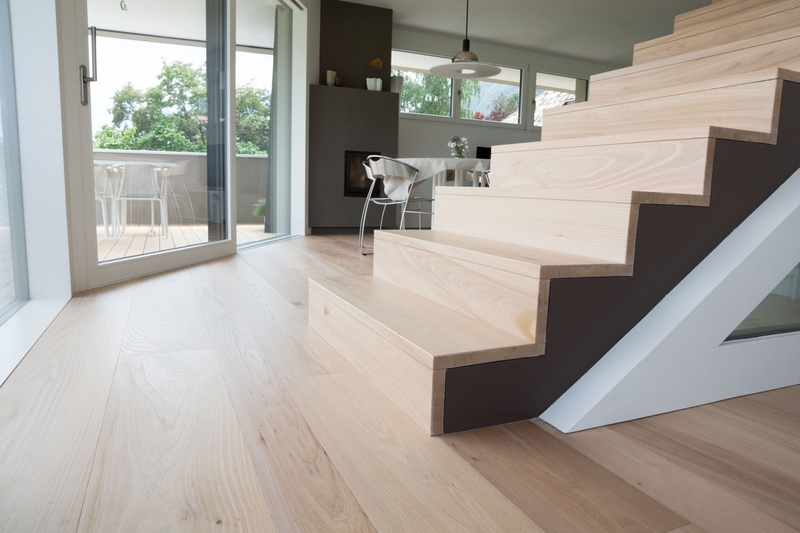 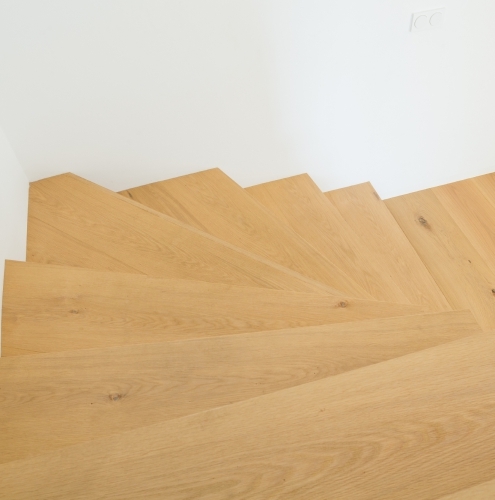 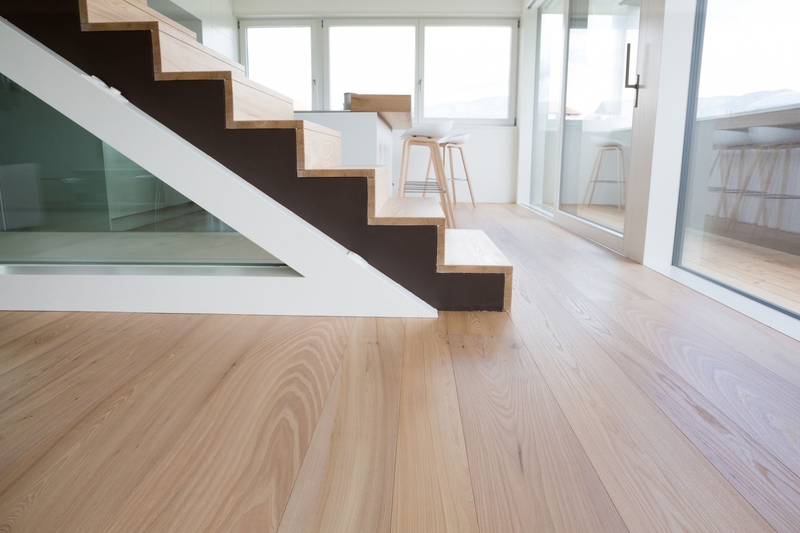 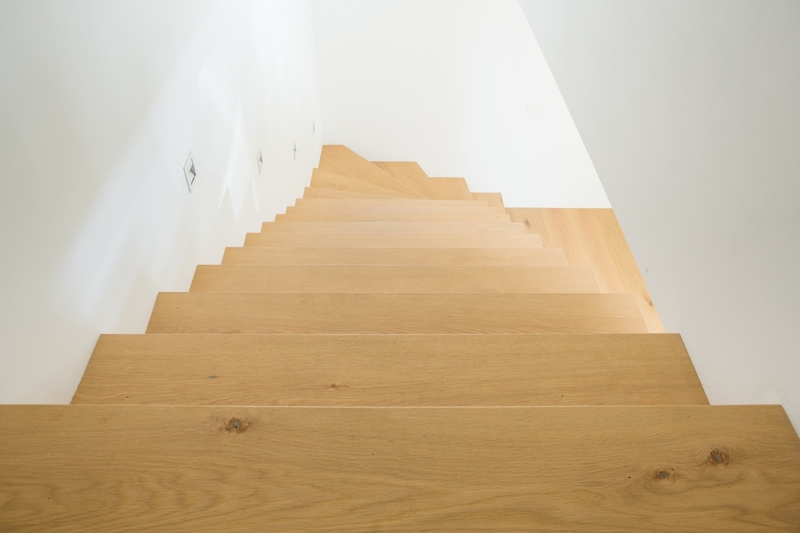 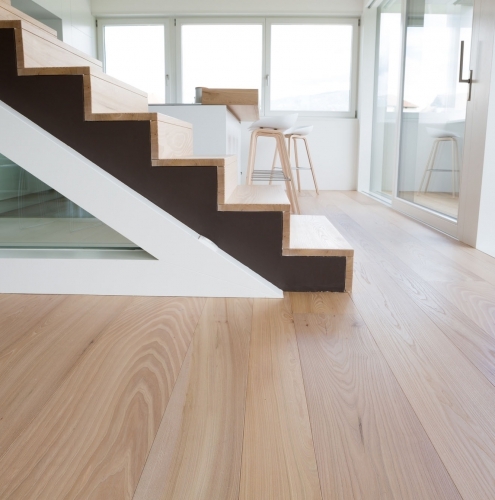 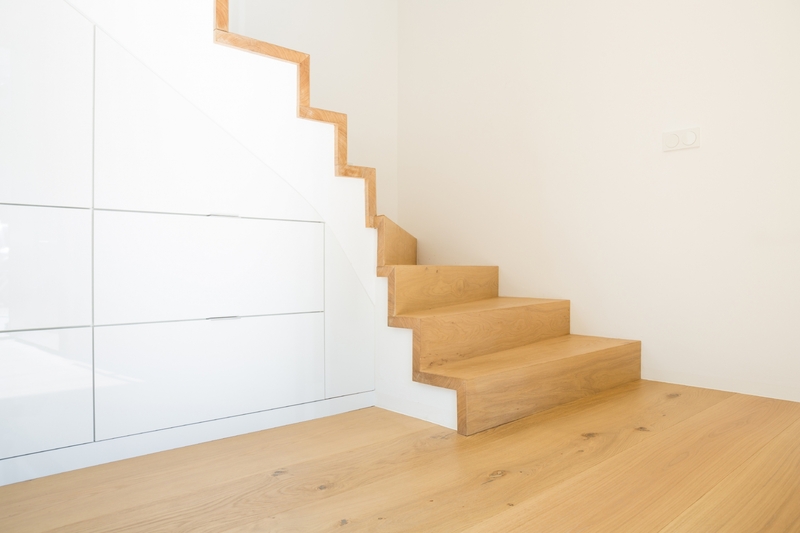 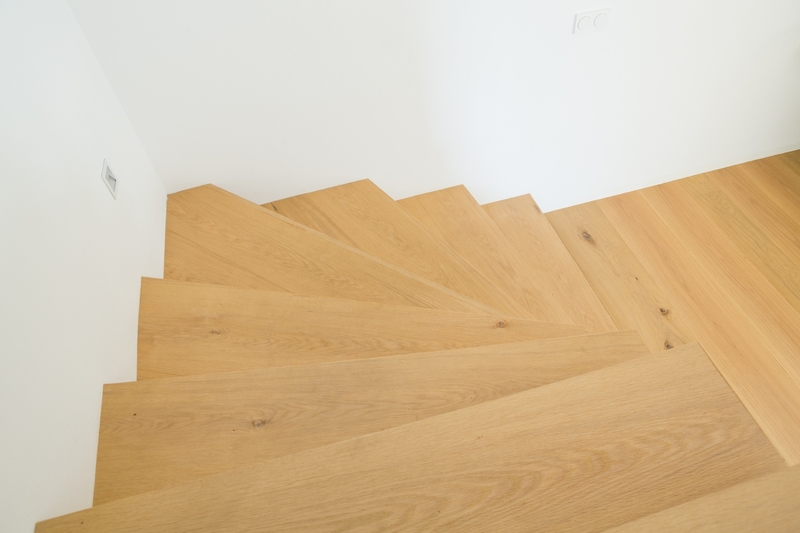 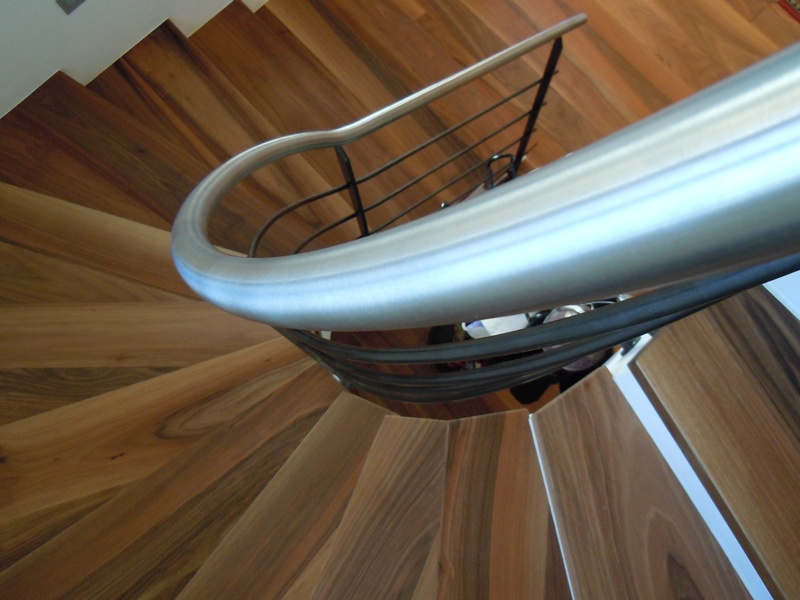 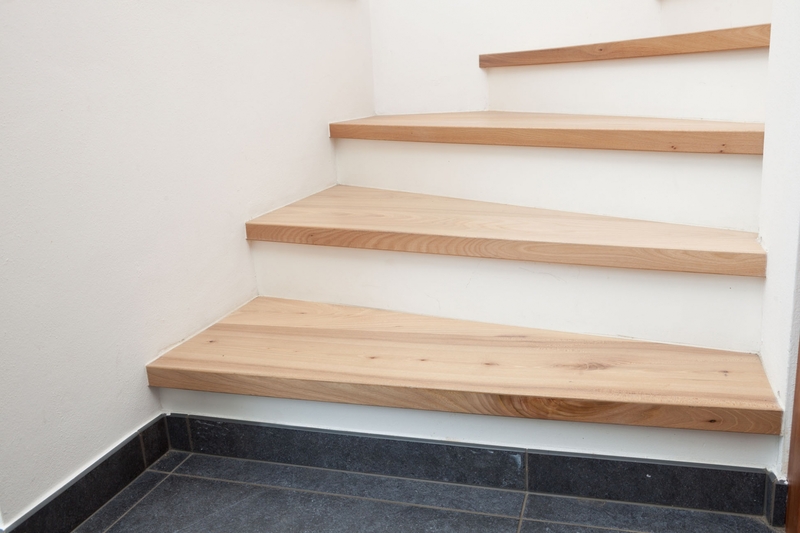 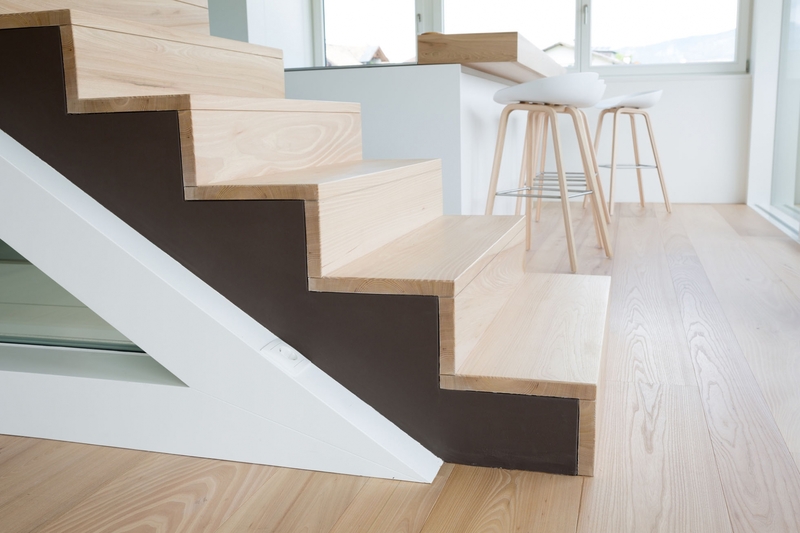 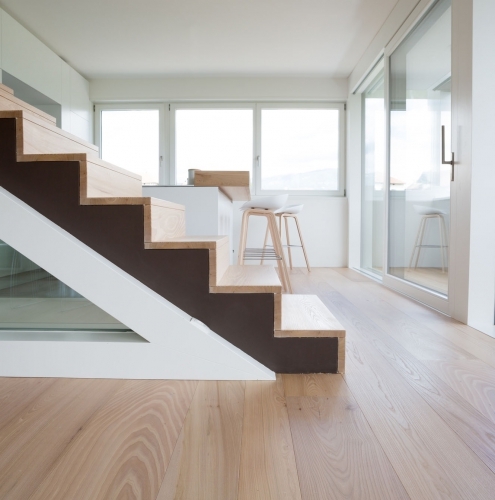 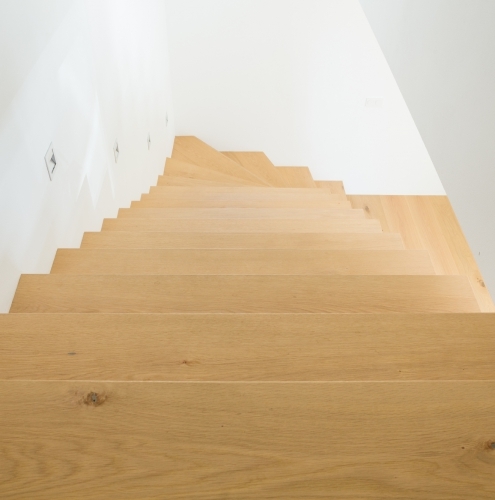 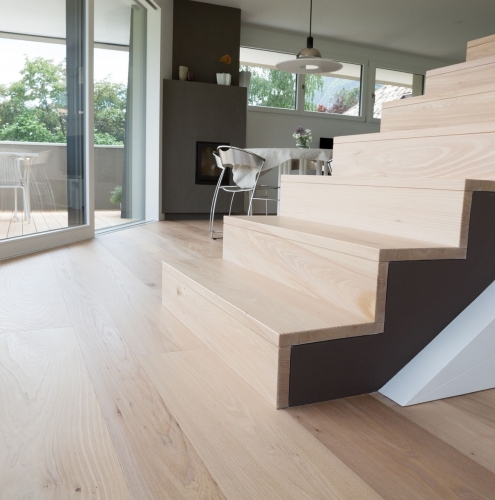 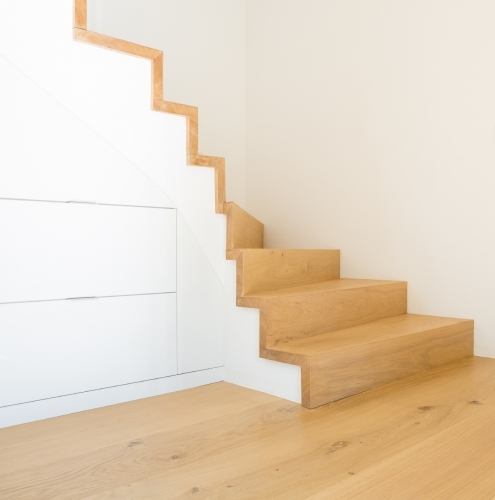 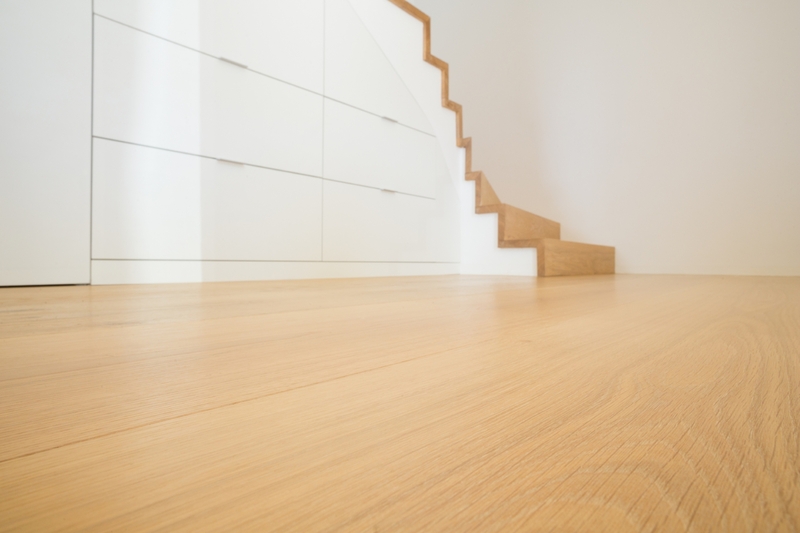 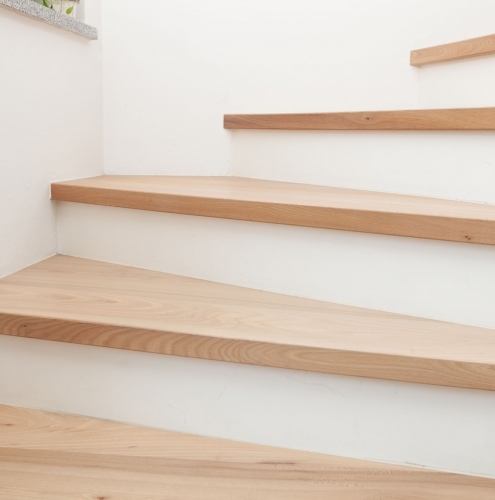 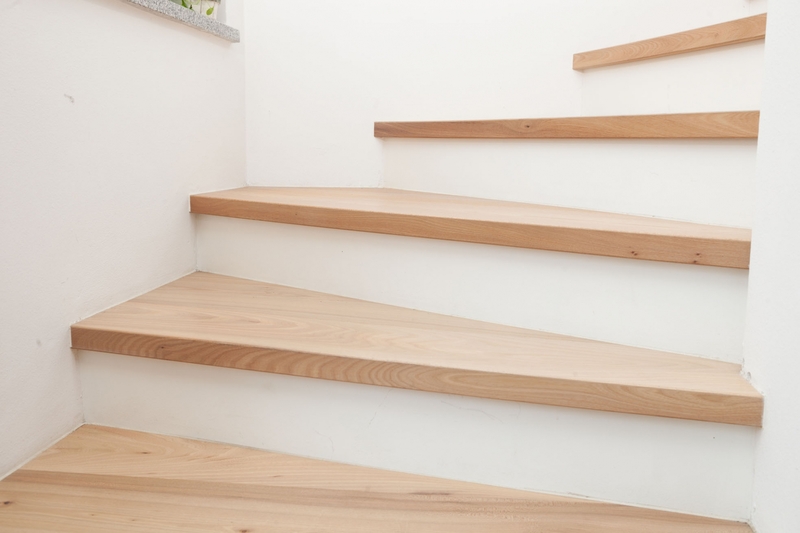 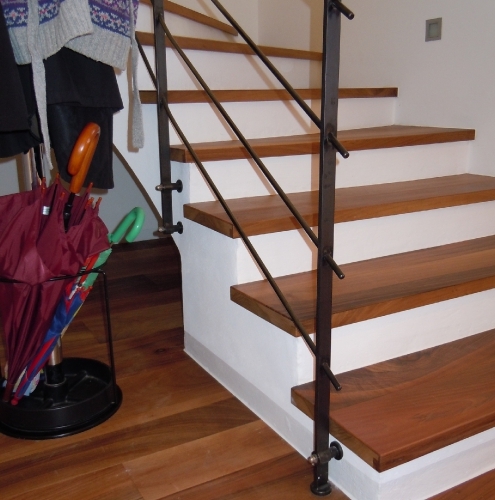 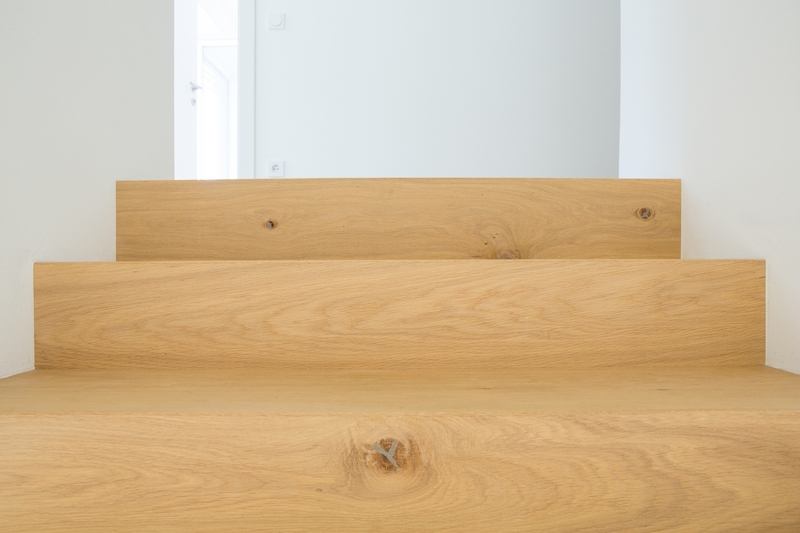 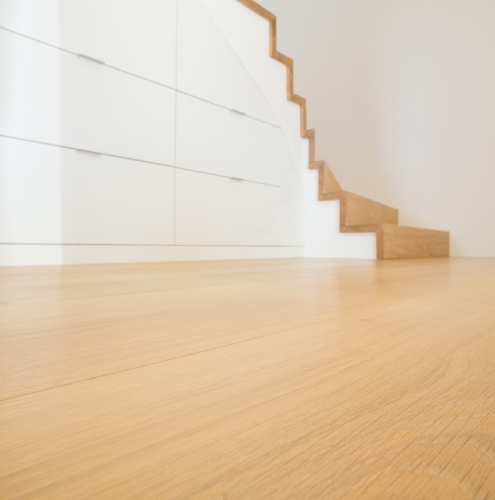 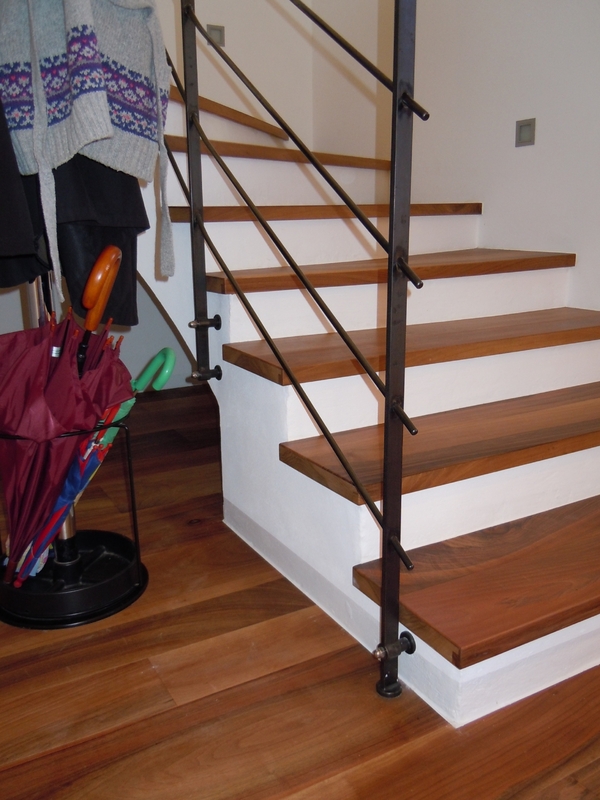 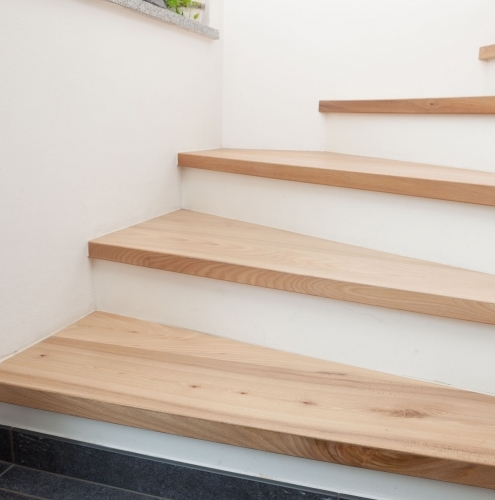 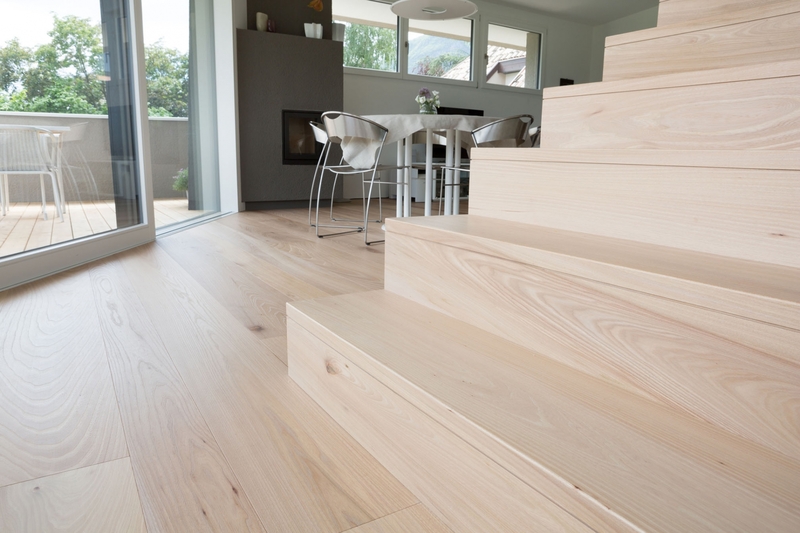 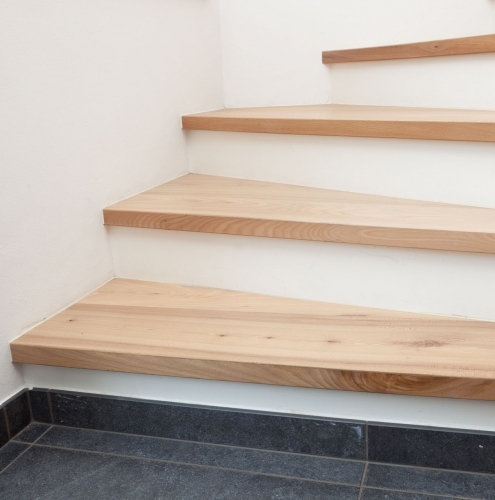 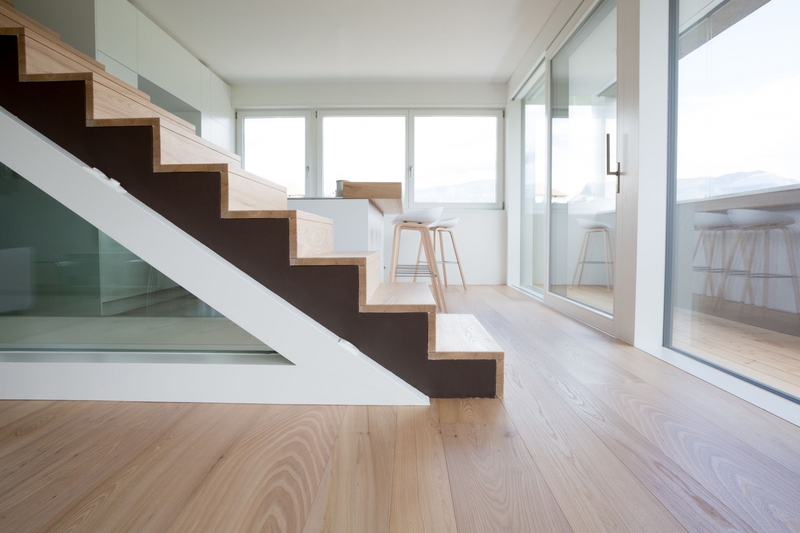 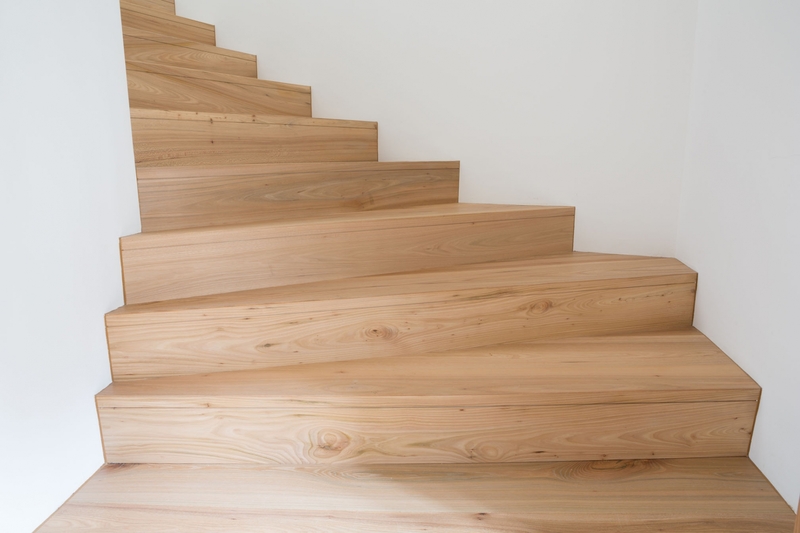 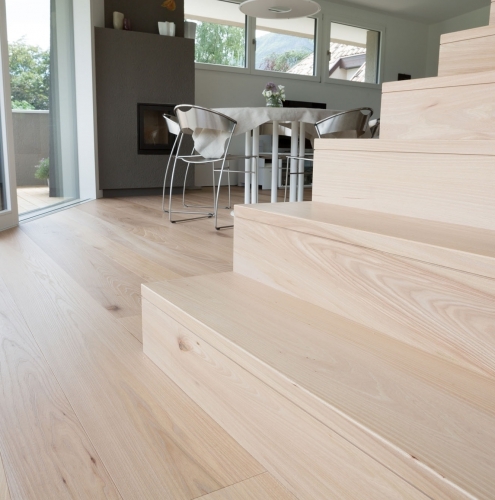 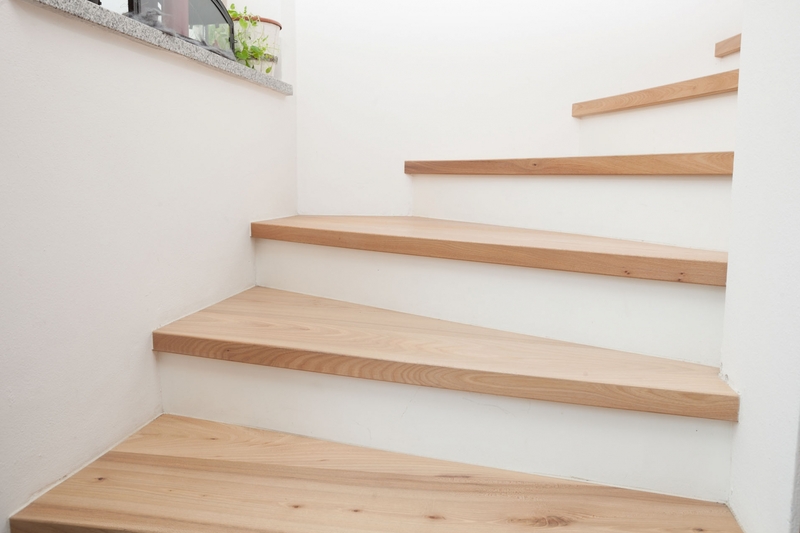 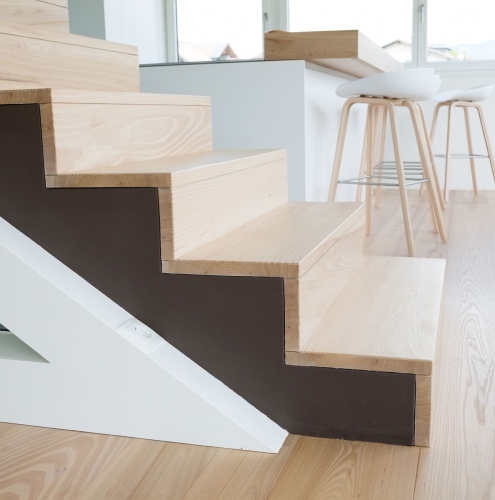 Since solidly glued stairs did not really fit the country house planks, we have developed a special system that gives our steps the same surface as our wooden floors. 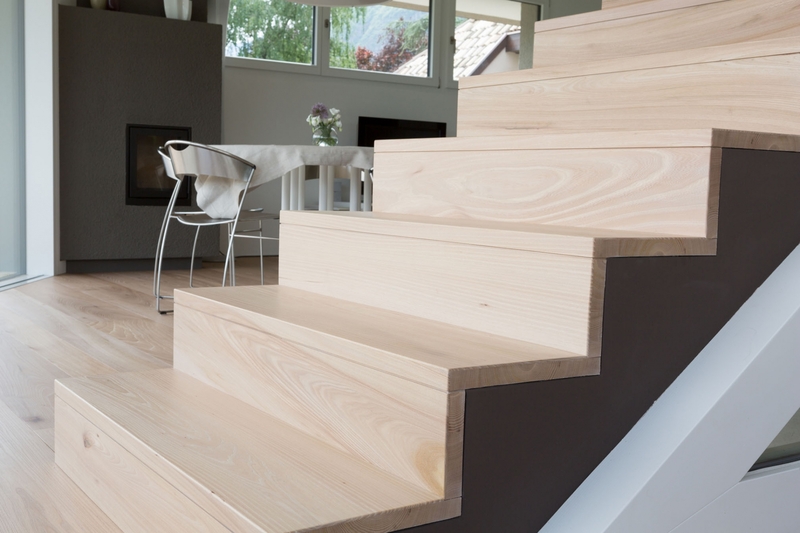 The special production method enables us to produce steps in a single layer at up to 6m length and up to 40cm width.